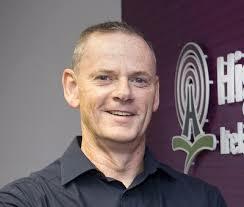 Donegal Business Network was featured on Highland Radio on the John Breslin show on January 16th. PRO Michael MacGinty from MEANit Web Design Agency spent 15 minutes talking with John about Donegal and business and networking. They talked about the origins of DBN, the members, the activities, business and social. They talked about the opportunities to network and the fact that DBN members are looking to hire, to bring talented people back home to work. The banter was good and many members were mentioned, especially Aidan Cannon at TFS Ireland the local facilities company and Donaghy Training who are recruiting staff. Maureen Hamilton at Floorit reckons she is truly famous now. Even Bert Galbraith the builder was happy to promote that he is recruiting again. The few members that were missed when time ran out will hopefully benefit from all the visitors who come to check out the network, as a result of Johns show. John Breslin himself is a great advocate of all things ‘Donegal’, as is Highland Radio, so they talked about Donegal Women in Business Network which has 250 members and celebrates its 20th anniversary on Jan 24th in the Silver Tassie at 7.00 pm. And they talked about the Chamber of Commerce with 250 members and Networking Donegal and the Donegal Dublin Business Network. which represents us so well in the capital city. These two guys see the potential for Donegal for people to come home to work and for Donegal to prosper in the Digital economy. So the craic was good, but the message was a serious, positive one for Donegal. The upshot of the conversation is that hundreds of Donegal women and men are Networking, love networking and it is working for them. These people are motivated, self starters who want to make a living in Donegal and want to make Donegal a better place to live in. These people also do regular fundraising and support our local charities, the Donegal Hospice, the Friends of Letterkenny Hospital, Simon North West, Michaela Breen Fund and so many more. Have a look through the website at and book a visit to one of our Wednesday morning meetings. Ruth Graham the World Famous Illustrator who chooses to live in Donegal and is the current Director at DBN said she cracked up listening to the interview. So have a listen if you have 15 minutes – enjoy!